Hertz is driving full-speed into the ride-sharing wars. 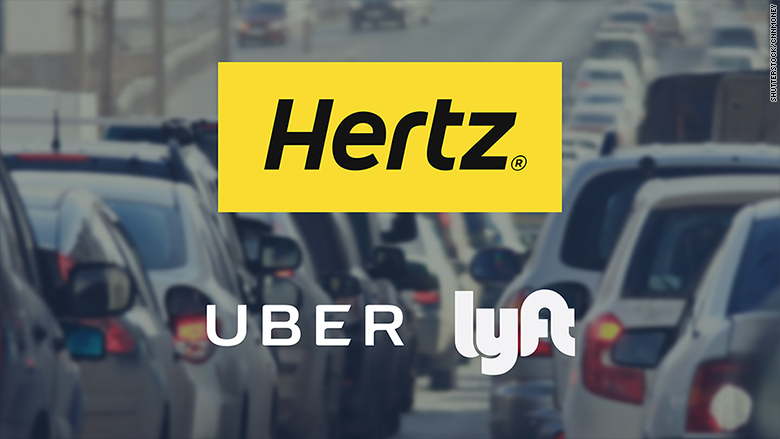 People who want to be Uber and Lyft drivers but don't have a car of their own can now rent one from Hertz (HTZ). The car rental service announced national supply agreements on Thursday with both rival ride-hailing platforms. It represents a new relationship with Uber and an expansion on a pilot program Hertz already had with Lyft. Wall Street cheered the deal, hoping it will give Hertz a new and growing home for the company's older and less desirable rental cars. Hertz stock jumped as much as 5% on Thursday morning before investors tapped the brakes. It's not clear how much the rental cars will cost a week, but Hertz said it will be set rates and the vehicles can be used for personal use as well as picking up rides. Hertz said it will begin renting cars to Lyft drivers in Los Angeles and San Francisco and more markets are expected to follow soon. That's in addition to the Las Vegas and Denver markets already in the Lyft pilot program. 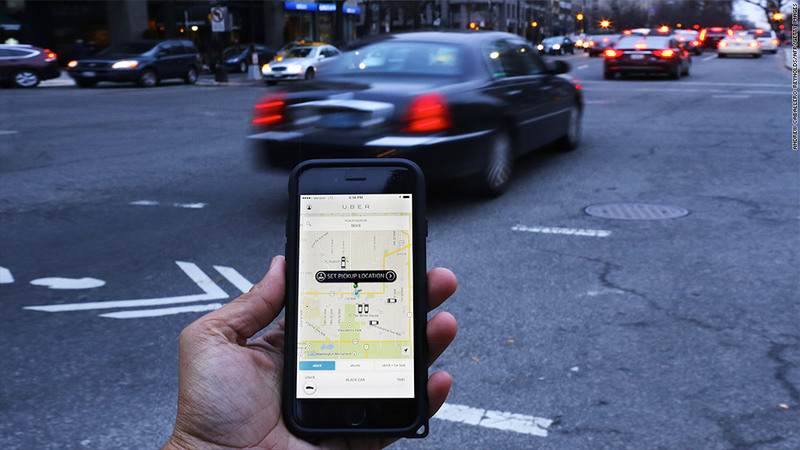 The Uber deal is starting in LA and moving to other markets as well. Hertz praised the "dramatic growth in the ride sharing" world and signaled it would largely be using cars that are "rotating out" of its consumer rental fleet due to age. General Motors (GM) has also been intrigued by the ride-sharing space. GM owns a $500 million stake in Lyft, and also an agreement that allows drivers to rent its cars. Uber also a rental car agreement with Enterprise. Under that alliance, Uber drivers can rent an Enterprise car for $210 a week in certain markets, plus taxes and fees. Hertz has been struggling lately, with its stock slumping 40% over the past year amid pricing pressure. The car rental company has been cutting costs and recently announced plans to separate its equipment-rental division into a separate public entity.